After a lovely run around the bay this morning we decided to hire bikes with the intention of cycling over the Golden Gate Bridge! And well, we did that.. And another 16 miles! 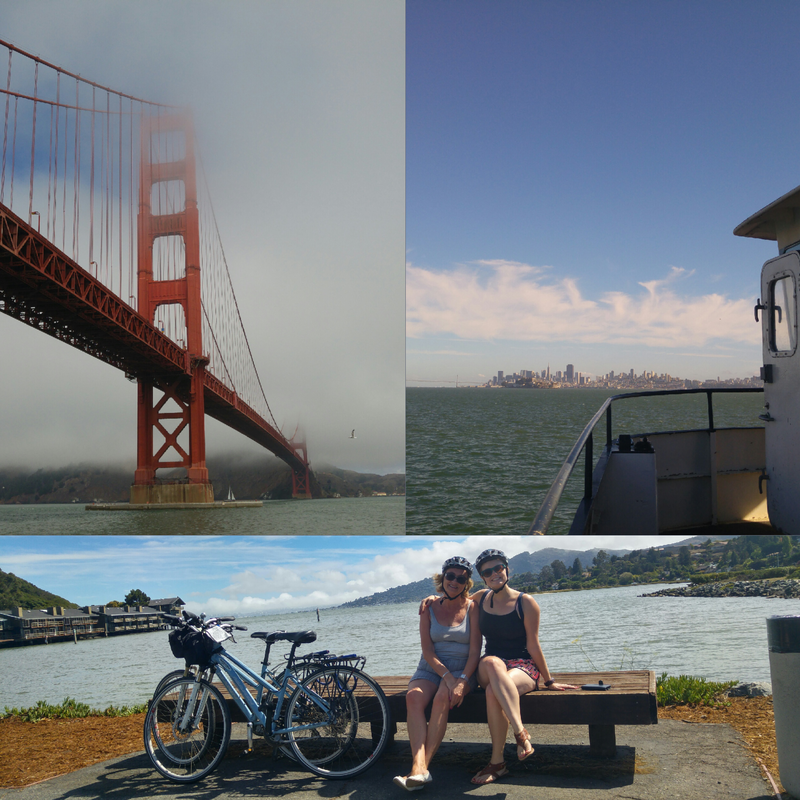 We ended up cycling 22 miles from San Fran habour to Tiburon. From there (after a cocktail and some wine) we got the ferry back to the bay. What started off as a foggy day quickly got overrode by glorious sunshine! It was a fantastic all round trip and such a great day, finished off with a great Chinese restaurant. Sunburn update: I now have back pack strap marks. Awesome.